Sea green peacock blue teardrop earrings made with the stunning Swarovski crystal Bermuda Blue teardrops. Perfect for weddings and special occasions! 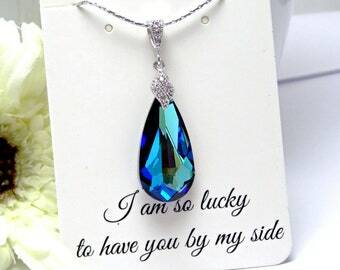 Feel the enticement of the tropics with the captivating crystal Bermuda blue teardrop from Swarovski. 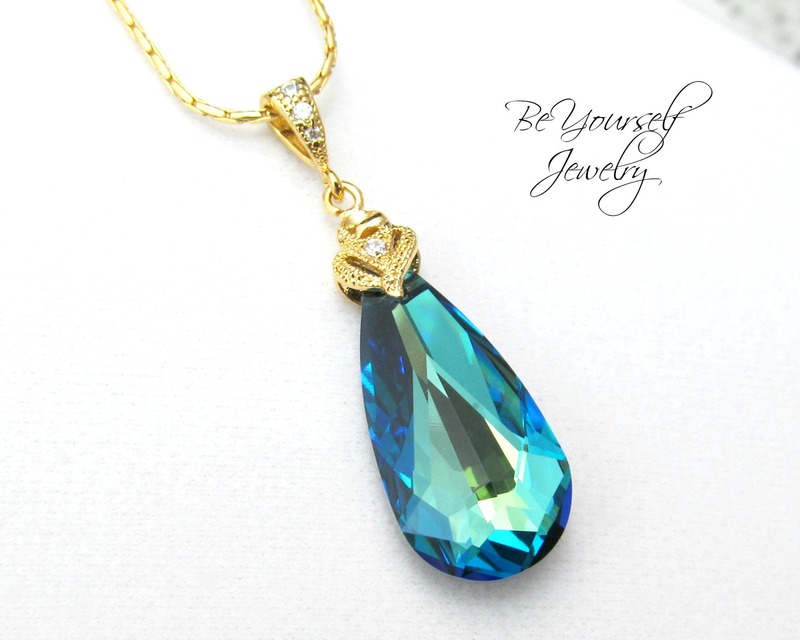 The crystal changes color at each angle - from brilliant blue to alluring sea green making them one of the most elegant blue necklaces you will ever see! Pictures don't make them justice! If you are looking for sophisticated blue or peacock jewelry look no further. 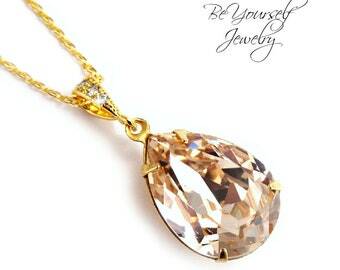 - All parts are tarnish resistant and hypoallergenic.